Car brochures were once a valuable piece of equipment for selling automobiles. However they are slowly becoming a thing of the past. It wasn’t too many years ago that you didn’t leave the car dealership without a brochure unless you bought and drove home the car in question. Obviously if you visit a car dealer it makes much more sense to experience the car in person rather than look at the brochure, but there is still something about having a full color informative piece of literature in your hand that is hard to explain. We have gathered and will continue to collect PDF car brochures and publish them right here on Motorologist.com for your convenience. When you are looking at new cars it make more sense to head down to your local dealership, but if you are seriously considering a pre-owned automobile these brochures could be exactly what you are looking for to help you make the best choice for you and your situation. Sometimes its just fun to look at the old car brochures and see what was the latest option and feature that was offered by the automakers when the car was brand new. Besides the car, the background and models are something else to see. Some of you may just want to step back in time and reminisce about days gone by when you bought your car. Either way these car brochures are a nice piece of memorabilia that was very popular back in the day. Being able to open a sales brochure on a used car that will provide the factory specifications for every aspect of the vehicle is priceless. You easily find dimensions, colors offered, trim levels, capacities, headroom, legroom, trunk room and so much more. Please feel free to use these automobile brochures and catalogs in any way you see fit. We have organized these car brochures by automaker, year and then model. You can open any of the brochures listed and read them or you can download them to your computer. 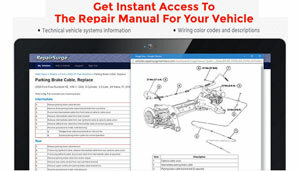 These car brochures are in a PDF format that will allow you to print or save them or do practically anything you want with them. However you will need to have an Adobe Acrobat Reader on your computer, which you can download for free, but its rare to find a working computer that does not have the reader software installed originally. If you happen to have PDF file of car brochures or sales literature and you would like to share it with us so we could post it on this page please email us with the brochure attached. You won’t find a brochure for every single car ever made, but we will continue to work towards that goal. If you already own of these older cars you may want to save a copy for yourself or print it out for someone that might be interested in buying your old car.